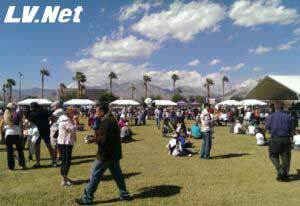 Green Valley High Speed Microwave and Wireless Internet offered by LV.Net is the peerless choice for quality event and convention based Internet. Our service covers the entirety of Green Valley thanks to our stellar preexisting service within Henderson. Looking for quality high speed wireless at your next Green Valley convention, exhibition or event? LV.Net can provide service anytime with speeds up to 1000 Mbps with no questions asked. Our service can cover any and all distances necessary, making sure all your attendees have unlimited access. LV.Net's technical support is available all day every day and our standards and expertise are unmatched. Our 24/7 service will ensure that any concerns you have will be addressed promptly and quickly. With LV.Net, you’ll have access to a network that has the flexibility and capability unmatched by other ISP providers, whether it’s a park, fairground, gym, or convention center. No matter the circumstance or the situation, LV.Net will be there to provide the highest standard in High Speed Wireless and Wi-Fi. Have a convention or in need of temporary High Speed Internet 5Mbps to 1000Mbps and up in Henderson Green Valley call us now 702.900.0000 for a quote or email us.